New building tips offered on ConcreteNetwork.com detail outdoor kitchen configurations and sizing information for consumers interested in building this spring. 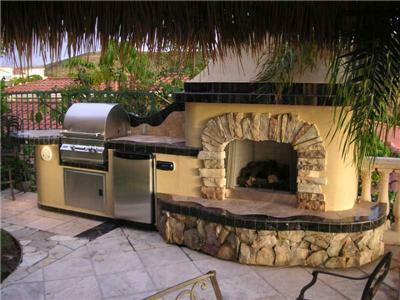 What better way to entertain than with a luxurious outdoor kitchen. Just in time for spring, ConcreteNetwork.com has made available building tips for outdoor kitchens to guide consumers and designers taking on new building projects this spring. The tips review popular outdoor kitchen configurations and sizing options, along with outdoor kitchen photos and videos featuring custom projects. With warmer weather on the horizon, consumers are gearing-up for a season of outdoor entertaining with family and friends. 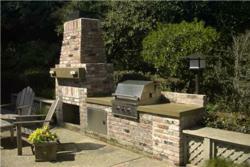 What better way to entertain than with a luxurious outdoor kitchen featuring all the necessary amenities. From concrete countertops, to grills, refrigerators, sinks and outdoor fireplaces, special considerations must be taken to ensure that proper configurations and sizes are designed. Failing to properly design the space to meet personal needs can result in the loss of functionality. The site reviews outdoor kitchen building, with a special focus on choosing the right layout for large and small spaces, along with proper countertop height and sizing standards. To view these tips in their entirety, and for a view of custom projects from around the country, visit the site’s gallery for more outdoor kitchen pictures. Article photos courtesy of Concrete Interiors in Martinez, CA. Attached photo courtesy of Increte of Houston in Houston, TX. Established in 1999, ConcreteNetwork.com educates consumers, builders, and contractors on popular decorative techniques and applications. These include stamped concrete, stained concrete, concrete countertops, polished concrete, and much more. Over 12 million people visited The Concrete Network website in 2010 to research, get ideas, find concrete products, and to find a contractor.